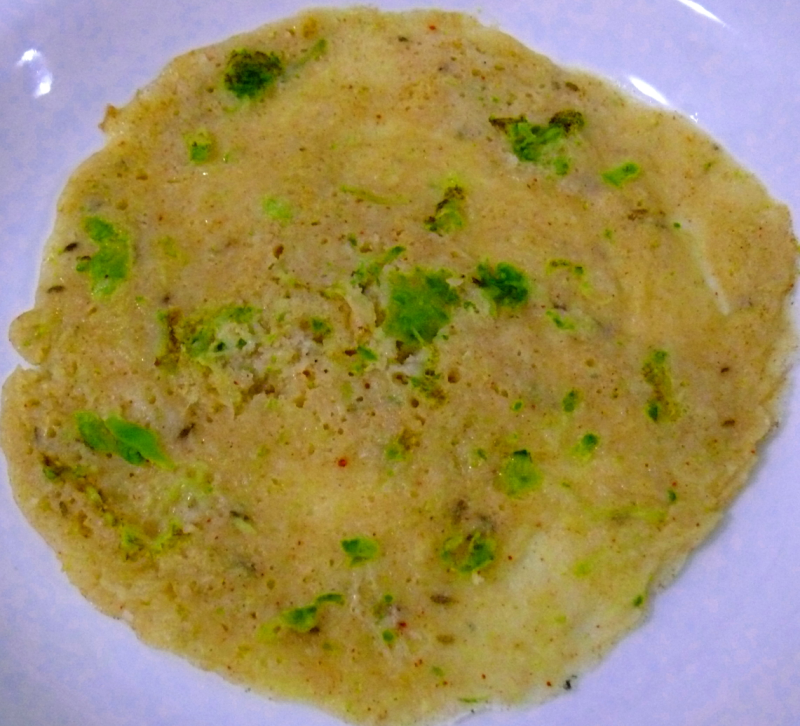 This tasty dosa was once popular in South India and now forgotten .This can easily be done because u need to keep the batter to ferment for 2 hours only.Its best combination is okra-red thick chutney. with shredded coconut, red chillies, curry leaves, cumin seeds and 1 1/2 cup grated white pumpkin. The batter should be thick enough to do dosas. Add needed salt, 1/2 cup grated coconut and the remaining 1/2 cup grated white pumpkin and mix well. Keep it covered for 2 hours and then you can make nice dosas by spreading the batter with oil in heated tawa. Serve this pumpkin dosa with okra-red chutney. Ladies Fingers Red thick chutney :cut 10 okra(ladies fingers) into small pieces.saute them with 1 tbsp chopped onions,1 tbsp chopped tomato,5 red chillies and 1 tsp cumin seeds for 2 minutes and grind them together with tamarind (2 cm size),1 tbsp grated coconut,2 tsp salt and 1 garlik clove in to a thick paste with 1/4 cup water.